The beginning of the year the U11s only had 16-18 boys – so it looked like, for the first time in five years, we would only form one team. After recruiting 8-9 players from friends, family and Rugby teams we managed to form two teams. Big thanks to Craig Riddington for his recruiting skills from his son’s Rugby team. Craig took on the responsibilities for the Maroon team and I backed up for another year with the awesome Blues Brothers (team White). We managed to maintain many boys from last year, and welcomed a few new players – Hunter, Michael, Nic, Raffi and Lucas. 14 boys now formed the White team. When Rugby or injuries crossed over, we always managed to play a full team. The Rugby league bug was hard to ditch for Will Farrar, who returned to play mid season with his school mates. So once again, we had the Blues Brothers back in force. The Boys this year have all really grown up in many ways. As you witnessed, some have put on size, and the hits these kids experienced every week is truly amazing. They back up and play Rugby as well. At Training, I can tell you when they hit the bags or hit me – it is starting to hurt! They have the power of youth, and we have the problem of us getting not so youthful. We finished 2nd this year. Made the Grand Final again, but with some very one sided penalty decisions (about 8-1), we could not compete with these odds, and lost the Grand Final. Very hard for the team, but I quickly reminded the boys we won all but 2 games all year! Well, now I appreciate the saying 3rd time lucky …… 2019!!! Full credit to Mona Vale for a Grand final Victory and great season of footy. One of the many Highlights for the White team was smashing Nth Curl Curl back to back, after some opposing team parents displayed very poor sideline behaviour. The boys play as a complete unit, back their mates and they all do their job efficiently, and as a coach could not ask anything more of them, and I’m extremely lucky to be part of this team and Manly Brothers. A huge thank-you to my right hand Training man Damien (the Hammer) Hammond who encouraged and instilled a positive attitude into the boys’ week in week out, with a steel like smile and a fresh bottle of water. Massive Thank-you to Grant Harrington for another successful year as the manager and Team co-coordinator, Joyce and Malcolm Engledew for their support in the back end, and the Mums and Dads who make it happen every Thursday and Saturday. Finally Manly Christian Brothers, whenever I needed something, Greg or Foxy were always there to assist me in making the team possible. Thanks and really look forward to another year with this amazing bunch of boys in 2019. 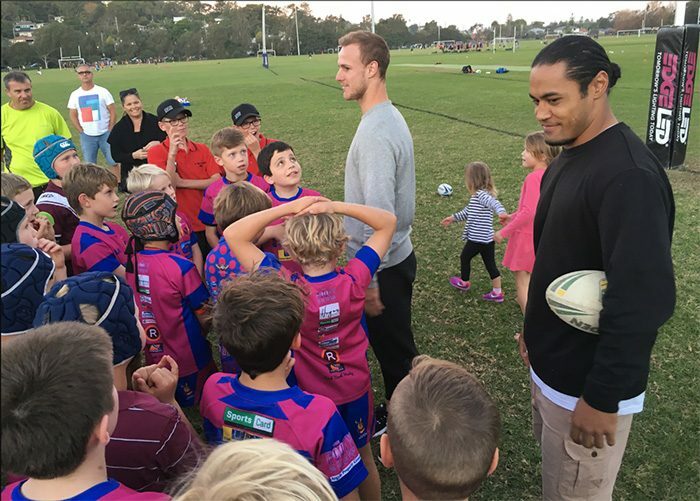 The proud Sea Eagles Captain was named Manly’s Player of the Year in 2017. One of the best half-backs in the NRL, Daly is a proven match-winner and big game player. His superb leadership, creativity, and ability to take the line on causes plenty of problems for opposition teams. 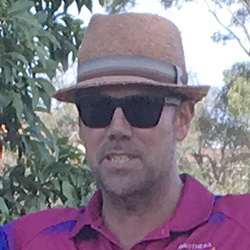 A former Queensland and Australian player, Daly is a father to three young girls.